Note: As per NBE Notice in pursuance to the MoHFW, Government of India, F.No.11025/18/2017-MEP dated 24th May 2017, candidates qualifying under the Revised NEET score can also apply for the above seat. 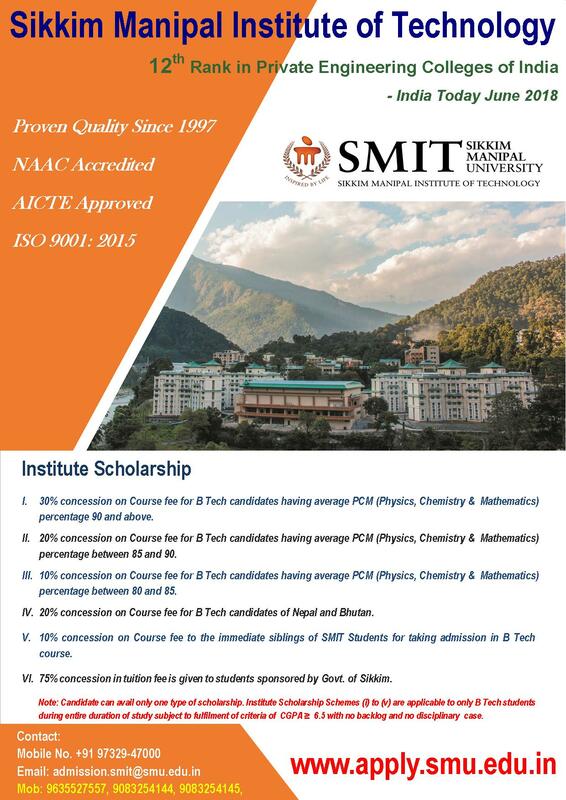 Demand Draft should be drawn in the favour of “Sikkim Manipal University” payable at Gangtok. b) Result of MCI screening test.